A minor recovery from last week’s unseasonal cool, wet and blustery conditions saw a low pressure system stationed to the north-east, delivering a westerly or north-westerly airstream for much of the period, with no surprises. The two Barnacle Geese remained at Hollowell Res all week and the two long-staying Ruddy Shelducks were still at Pitsford Res on 18th. 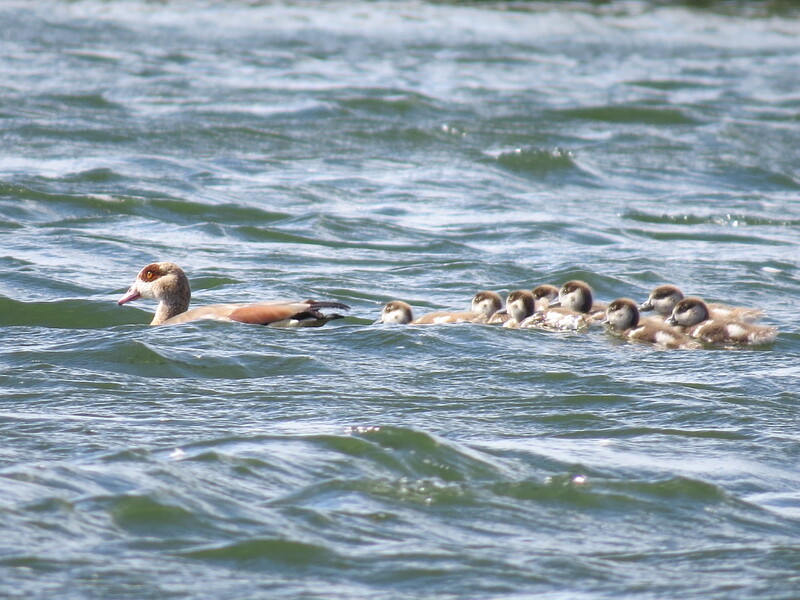 It’s been a good year for Egyptian Geese breeding in the county and a pair with eight goslings found at Ditchford GP on 13th were still all present and correct on 17th. Up to six Red-crested Pochards remained at Pitsford Res all week with the female Goldeneye there on 16th and the summering female was still at Earls Barton GP the following day. 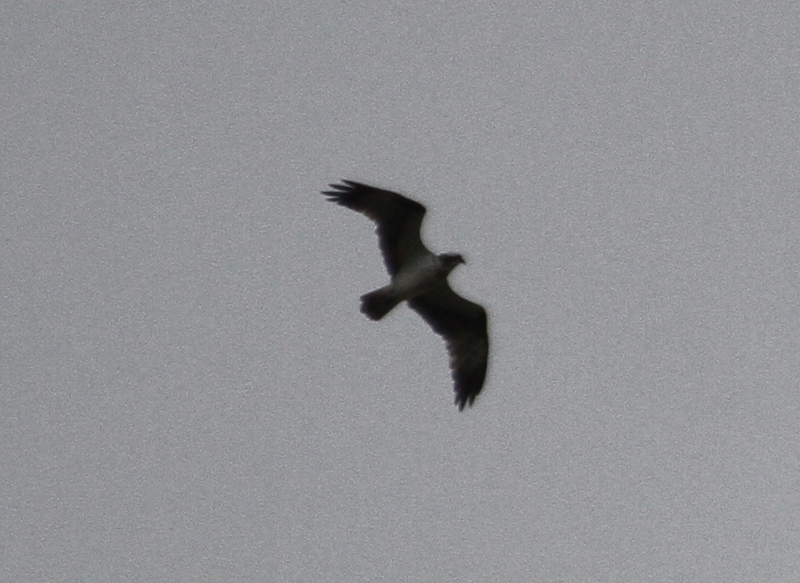 Ospreys continued to feature this week with singles at Thrapston GP on 16th, Pitsford Res on 16th and 20th, Hollowell Res on 18th, 21st and 22nd and Stanford Res on 20th while the ‘cream-crown’ Marsh Harrier remained in the Harrington AF/Maidwell area until at least 20th. A Goshawk flew over Raunds on 18th and Peregrines were at Stortons GP on 16th and Blueberry Farm, Maidwell on 20th. 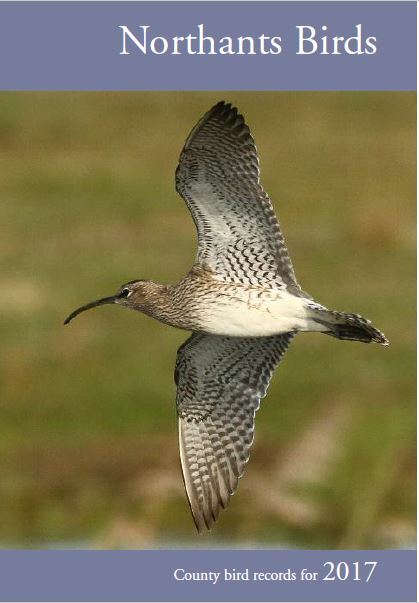 If wader passage was slow last week then it had almost ground to a halt this week. Two juvenile Little Ringed Plovers were still at Summer Leys on 17th with singles there on 22nd and Clifford Hill GP on 20th, while Hollowell Res held up to five plus a Ringed Plover at the week’s end. A juvenile Turnstone paid a brief visit to Stanwick GP on 17th and single Dunlins visited Summer Leys LNR on 17th and Clifford Hill GP on 20th, while the only Common Snipe this week were singles at Pitsford Res on 16th and Summer Leys LNR on 22nd. Up to six Common Sandpipers were at Pitsford Res throughout the week, while singles were at Stanwick GP on 17th-18th and Clifford Hill GP on 20th. Singles of Curlew and Redshank visited Pitsford Res on 16th and a Greenshank was at Hollowell Res on 22nd. The only Mediterranean Gull this week was a juvenile in the Pitsford Res roost on 16th although Caspian Gulls stepped up to the fore at Stanwick GP with an adult on 18th, two juveniles and a sub-adult on 19th, an adult and a juvenile on 20th and a juvenile on 21st. Stanwick also continued to produce Yellow-legged Gulls daily, with a maximum count of fifty-one on 19th, while smaller numbers elsewhere included up to six at Pitsford Res and one at Clifford Hill GP. The two Turtle Doves remained at Harrington AF until at least 21st, two Tree Pipits were at Borough Hill on 18th and singles flew over Pitsford Res and Blueberry Farm, Maidwell on 20th. Common Redstarts continued to filter through the county with one at Brackley on 19th, three at Blueberry Farm, Maidwell the next day and one at Harrington AF on 22nd while twos of Whinchat were at Blueberry Farm and in the wider Brampton Valley on 20th with one at Hollowell Res on 21st. Single Northern Wheatears were found at Brackley on 19th and Pitsford Res on 20th, while two visited Harrington AF on the last of these two dates.